1. Set var_multiuser to "Peers to Review"
Wow, that's much easier. Thanks! Any idea on how can I export to a spreadsheet all of the values in a multivalue column? Currently, it only exports the most current one. "Any idea on how can I export to a spreadsheet all of the values in a multivalue column"
"how can I get autonumber column in MOSS"
All lists have an autonumber column by default. If you want to get access to it, I believe you just use the "id" field. This also works for the "Assign Form to a Group" SP Designer activity. 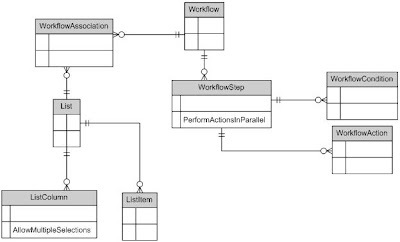 It will create multiple tasks, one for each user. Great article thanks! I used the solution mentioned in the comments, but as a way to route a task to multiple people (simple approval). 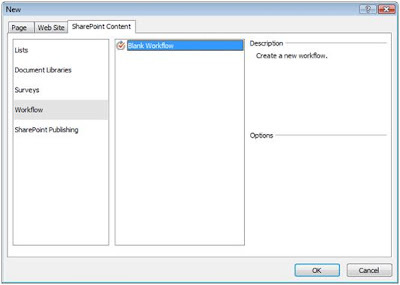 Unfortunately while it works, it seems that Sharepoint sees this as somehow different and does not auto-magically display the "Complete Task" button when you hit Edit, as it does with other workflow tasks. Any idea why or how to fix this? I can't mark the task complete due to this. Can you expand on your solution for export data, which has multiple values, to spreadsheet? How does one implement the String.Split()optioN? "Any idea on how can I export to a spreadsheet all of the values in a multivalue column? Currently, it only exports the most current one." Apparently you can't because Sharepoint is a POS! 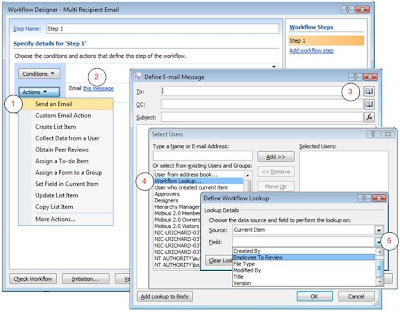 I found that the suggested simple method within the first post does not actually work as the mail addresses cannot be resolved (User ID numbers precede email addresses)(unless perhaps it's due to me using Outlook/Exchange 2003 rather than 2007?). List A has the meta data of lookup column field with multiple values. I need to display the items in a dataview where the filter is only a i.e. Fetch only articles with metadata of a i.e. A4 should not be returned. I have another simple solution for this. 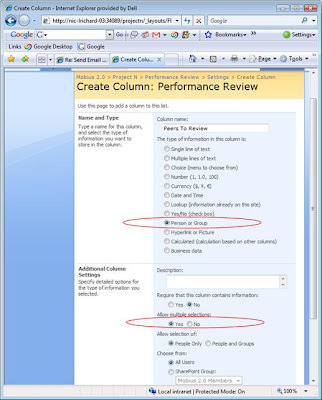 First I define two columns, the first as person/group allowing multiple selection and show the email address, and the second as a simple text column. 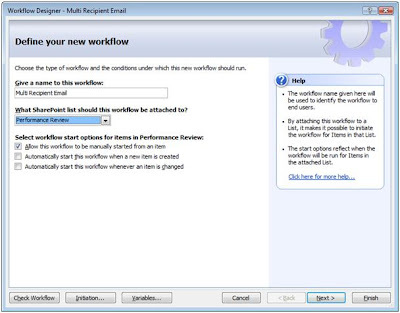 In the workflow the first action is to set the simple text column with the value of the firs column, containing all the email address selected with the comma separator. 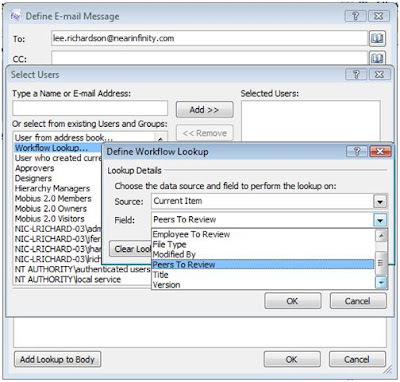 Next action is sending email with a workflow lookup on the simple text coulumn. Sorry, no 3rd article in the series :(.